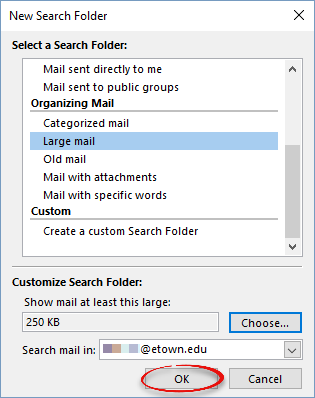 Reduce your mailbox size by creating a Search Folder to find large messages and then move them to your Archive or permanently delete them. 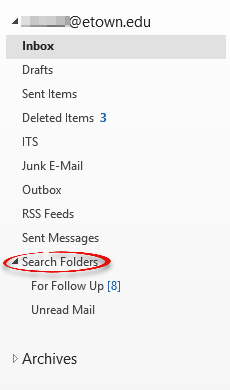 Step 1:In Outlook, click Search Folders in the sidebar to expand the folder. 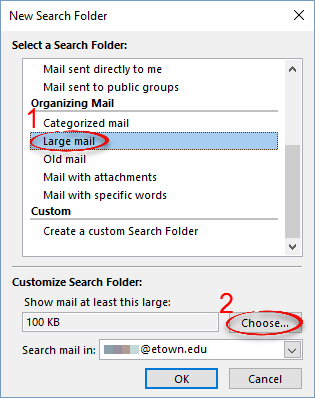 Step 3:Scroll down and select Large mail. Click Choose to change the size of the messages being searched for. Step 4:ITS recommends that you enter 250 in the KB box. Click OK. 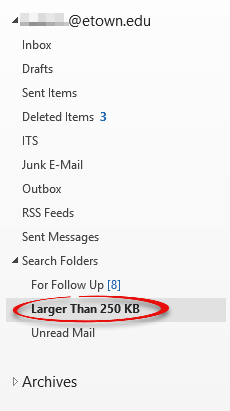 Step 6:In the sidebar, click Larger Than 250 KB under Search Folders. 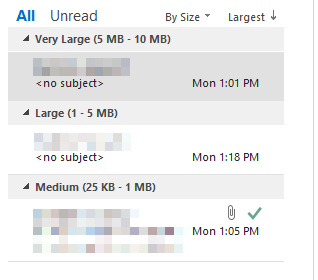 Step 7:Outlook will show you all the messages that are larger than 250 KB, sorted based on size with the largest ones at the top. 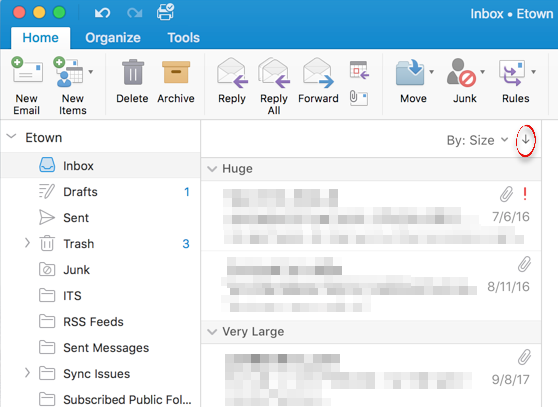 Step 8:Select any large messages that you don't need and click Delete. Step 9:Make sure to empty your Deleted Items folder when you are done to permanently delete the large messages. 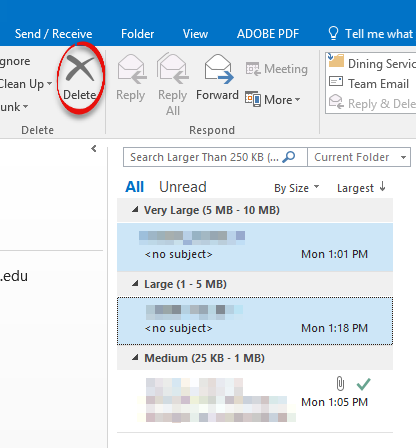 Step 1:In Outlook, click By:... on the top of your message list, then select Size. 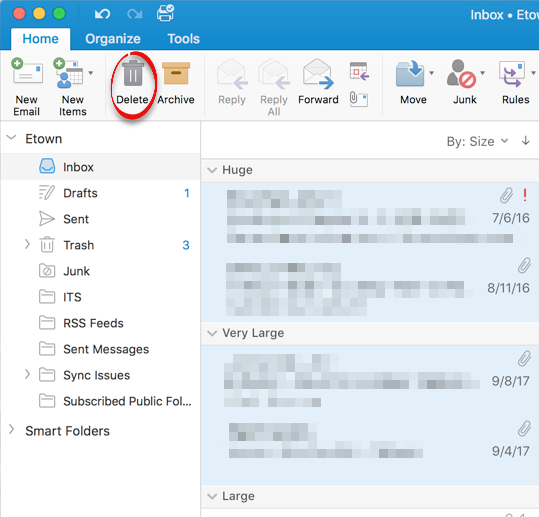 Step 2:Click the arrow next to By: Size to sort messages from largest to smallest. Scroll up to the top of the list. 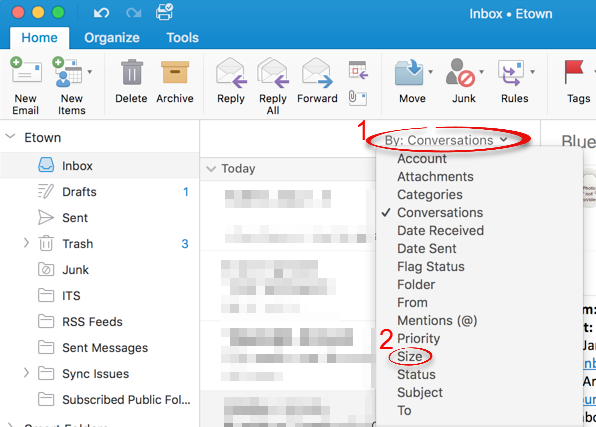 Step 3:Select the messages that you no longer need and click Delete. Step 4:Make sure to empty your Deleted Items folder when you are done to permanently delete the large messages.